At about 10:00 am, Jane Hill will perform her yondan (4th degree black belt) demonstration. Click the button for which classes you want attend. Join us for Michael Friedl Shihan's seminar on Saturday, April 13. This will be a real treat. 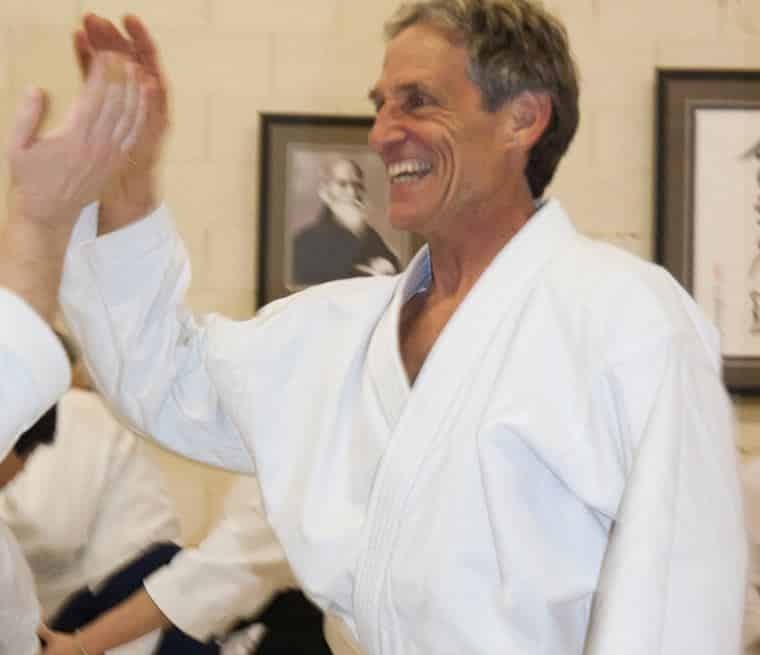 Michael Sensei is back for a big event for us: Jane Hill's yondan demonstration. Jane has been a member of Aikido'Ka since its first day. She trained with Frank Sensei at Mountain Wind Dojo (under Jan Kirkpatrick Sensei) for years before Aikido'Ka opened. Jane is a wonderful person and an absolutely terrific training partner. We're in for a fantastic training and celebration day! Please join us. 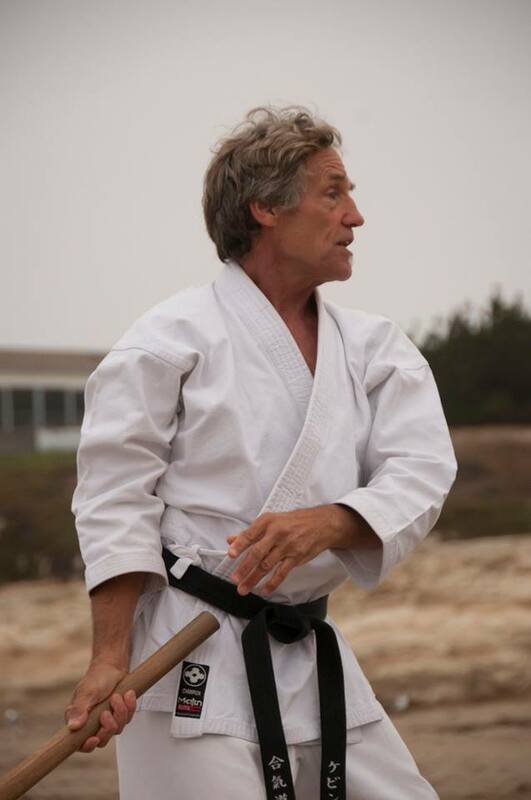 Michael Friedl Shihan is founder and chief instructor of Aikido of Ashland. He is Division Head for Division 2 of the California Aikido Association. He is also a previous President of the California Aikido Association. Friedl Shihan is Bloksberg Sensei's direct aikido teacher. Friedl Shihan began his Aikido training in 1972 under Clyde Takeguchi Shihan in Madison, Wisconsin. Friedl Shihan became a live-in student (also known as a uchi deshi) for Takeguchi Sensei from 1975-1977 in Charleston, South Carolina. In 1978 Friedl Shihan established a dojo in Burlington, Vermont. He moved to Ashland, Oregon in 1979 and started a small aikido club. Friedl Shihan affiliated with Frank Doran Shihan in 1979 and has been a student of his since that time. Friedl Shihan was uchi deshi for Saito Shihan in Iwama, Japan from 1981-1983. There he studied weapons intensely and the Iwama style of weapons remains a strong influence in his weapons style to this day.